Mpule Kwelagobe, founder & CEO of the MPULE Institute for Endogenous Development explains why we need the Declaration of Abu Dhabi. Mpule K. Kwelagobe is the founder and CEO of the MPULE Institute for Endogenous Development. As a researcher, Mpule’s areas of interest include traditional knowledge systems and culture, and how they inform endogenous development. Prior to this Mpule served as President of the Botswana-based MPULE Foundation, which she established in 1999 to address the HIV/AIDS crisis in Botswana. Former President Nelson Mandela of South Africa was the guest of honor and keynote speaker at the launching of the MPULE Foundation. To date the MPULE Foundation has partnered with nearly 20 multi-stakeholders in launching health and youth empowerment programs in two dozen urban and rural areas across Botswana. In 2001, Mpule Kwelagobe and the MPULE Foundation were awarded the Jonathan Mann Human Health Rights Award by the International Association of Physicians in AIDS Care (IAPAC). 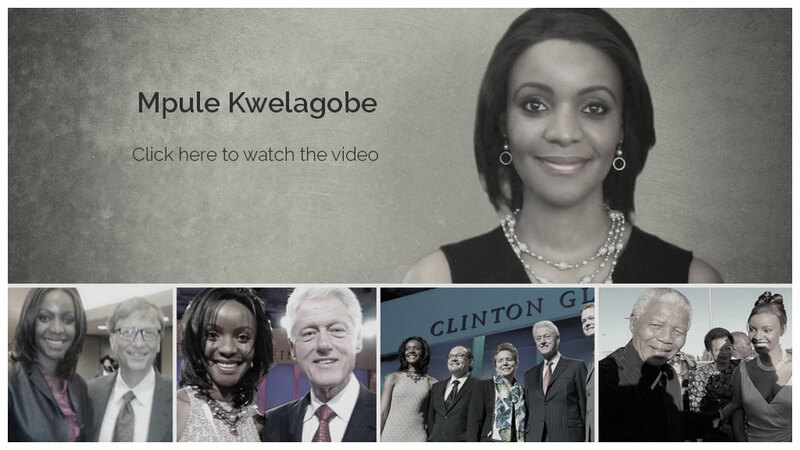 In 2003, Mpule was selected as a Global Leader for Tomorrow by the World Economic Forum, which also selected her as a Young Global Leader in 2006. She was awarded the highest honor by the Lions Club International in 2001 during Lions Day at the United Nations for her work as a member of the Leo Club (junior Lions) in Lobatse, Botswana. Mpule had previously been honored by the Lions Club UK and the Lions Club Botswana in 1997. In 2000, Mpule was appointed as the United Nations Goodwill Ambassador for Youth and HIV/AIDS by the UN’s Population Fund, UNFPA. In this capacity, she has addressed members of the United States Congress, the UN Least Developed Countries conference, the UN World Youth Summit, the World Summit on Sustainable Development and the UN General Assembly. In addition, she participated in numerous policy forums in Washington DC and lobbied European donor governments on behalf of the United Nations Population Fund. In 1999, at the age of 19, Mpule Kwelagobe made history as the first delegate to represent Botswana at the Miss Universe pageant, and she won! She became the first black African woman to win an international pageant. Mpule also became the first Miss Universe to collaborate with the Harvard AIDS Institute, and addressed students at Harvard University alongside then Harvard Professor Jeffrey Sachs and Dr. Richard Marlink of the Harvard AIDS Institute. Following her historic crowning as Miss Universe, Botswana post launched five (5) commemorative postage stamps of Mpule. In 2002, the Government of Botswana awarded Mpule a full scholarship to attend any university of her choice around the world. She graduated from Ivy League institution, Columbia University in the City of New York, in 2006 with a degree in International Political Economy. Mpule holds Freedom of the City Keys to Gaborone (Botswana), Port-Of-Spain (Trinidad & Tobago) and Asuncion (Paraguay).